A good friend of mine runs a nonprofit organization. Several years ago, seeking to align his life more closely with the Lord’s will, my friend felt inspired by God to move from the East Coast to Texas. This would eventually lead to him founding a nonprofit that helps organizations helping others. By simply following God’s leading, his organization has been able to help people navigate hardships like Hurricane Harvey. His nonprofit reaches organizations helping individuals in desperate circumstances. While my friend is a devout Christian and his organization does Christ-like things, his nonprofit does not identify as a Christian organization. Although his organization doesn’t identify as a Christian nonprofit, it operates on biblical principles while changing lives locally, nationally, and globally. My friend’s mission is to utilize his organization to open doors and pave a path for others to bring the Gospel to a world in desperate need of it. My friend did not grow up in church. He did not grow up born again. He encountered Christ after he had learned the highs and lows life brings. After having a personal encounter with Jesus, my friend’s life changed. Yet, it took years of spiritual exploration before he fully understood what it meant to align his life with God’s will. The reason my friend chooses not to identify his nonprofit as a Christian organization is to remove obstacles that may impede people from receiving the help they need. This allows his organization to provide much-needed aid to people from all walks of life and different faith paradigms. My friend desires to show the genuine love of Christ to all people regardless of what they might believe or whom they might have put their faith in because he understands that is exactly what Jesus would do. His nonprofit is able to shower people with the tangible love of Jesus across all boundaries and beyond all borders. How then will they call on him in whom they have not believed? And how are they to believe in him of whom they have never heard? And how are they to hear without someone preaching? And how are they to preach unless they are sent? As it is written, How beautiful are the feet of those who preach the good news! But they have not all obeyed the gospel. For Isaiah says, Lord, who has believed what he has heard from us? So faith comes from hearing, and hearing through the word of Christ. Once we encounter and experience Jesus, we are no longer the same. Our priorities change. Our focus shifts. Our attitudes and actions are different from what they once were. We can identify ourselves Christians. We can call ourselves a church. Without action reflecting the transforming work of Christ in and through us, these terms are simply labels. Demonstrating the love of Christ in real-world situations through tangible action can be heard far more loudly and reach hearts more deeply than the words spoken from the reasonably safe confines surrounding the Sunday morning pulpit. Being a Christian cannot merely be a label we attach to ourselves. To do so is to misunderstand the Gospel. Our faith is demonstrated more by our actions than our words. Being a Christian is not simply a name used to identify ourselves, but a lifestyle of faith demonstrated through the way we live and how we treat others, regardless of who they are and what they believe. Believers, in this new year, let us agree to allow our actions to reflect more of Jesus. Being a Christian is a call to action, not a hashtag. 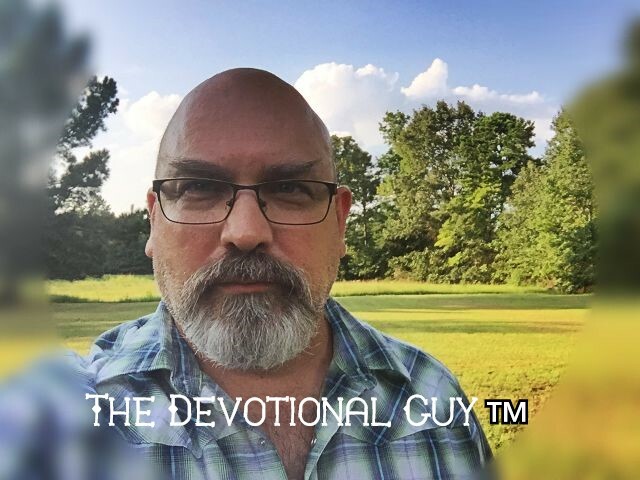 Follow The Devotional Guy™ on Facebook, Twitter, and Instagram! I read your words as part of my morning devotional and prayer time. I like the phase “lifestyle of faith” which emphasizes developing habits that align with God’s expectations as we follow Christ. First, I’m honored and grateful that you would incorporate reading my blog into your personal time with the Lord. Thank you so much for continuing to read and faithfully provide encouragement. Second, I think our daily habits either help us grow closer to Him or further away. As a believer, I desire to delight in the Lord as much as He delights in me. Like you that begins with starting my day through time with Him. Blessings my friend. Thank you again for reading! May your day be filled with God’s peace! I, like your friend, choose not to label what I do as “Christian”, but rather write what applies to everyone and opens doors for me to share the gospel when we get face-to-face. We live in a time, or maybe it’s always been this way, where so many people are screaming for Christian rights, and look at me –I’m a Christian, but their actions do not represent what the Bible teaches. Jesus said we would be known by our love, and to look at what fruits the tree produces. Our actions must speak louder than our words if people are to be loved into the family of God. Thanks for reading and sharing your insights Kathryn. Blessings to you and Steve (and Gizmo too)!